A new company called Coco & Tini from British Columbia is making its way East and who better than EM&B to tell you about it and to give you a chance to win. 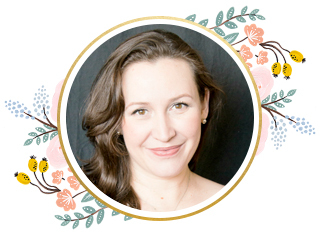 As some of you may know, skin care is another passion of mine along with baby carriers. Skincare was my profession before motherhood so being a “product junkie” when I find a great skin care line for my son I get equally excited. Well..yes. My son has sensitive skin and even products that are organic and natural can still give him the itchies. Coco & Tini did not! Hurrah! And he just informed he likes the Sea Horse best which is their bubble bath and then the froggy for his body wash. He hates getting water over his face but he just said he’s okay with the lady bugs and owls. The conditioner, by the way, is lovely and not too heavy for his fine hair. 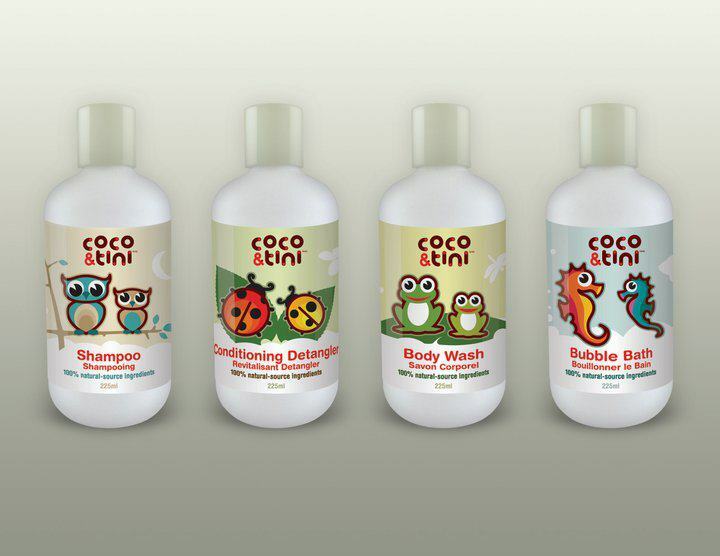 What’s not in Coco & Tini? Coco & Tini would love to give a set away to a lucky Canadian Family. Here you have a chance to win the whole line, valued at $75. 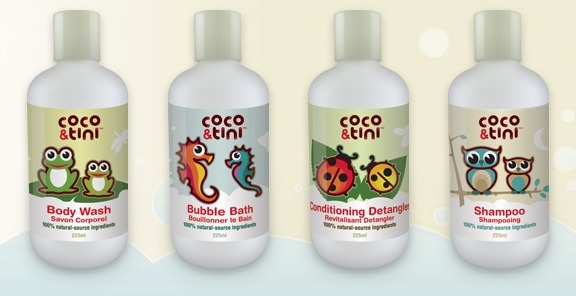 To enter: Pop over to Everything Mom and Baby on Facebook and post a photo on the EM&B wall of your baby splashing away in some bubbles or let’s see a picture of your messy bebe that needs Coco & Tini. Either or is great and fun! * Tweet the giveaway or share this post. Just click on the little heart below. * Giveaway ends March.13, 2012. Open to Canadians only. Winner will be selected randomly.